I am sorry for looking down my nose at you all these years for being a retailer. Mea culpa, mea culpa, mea maxima culpa. 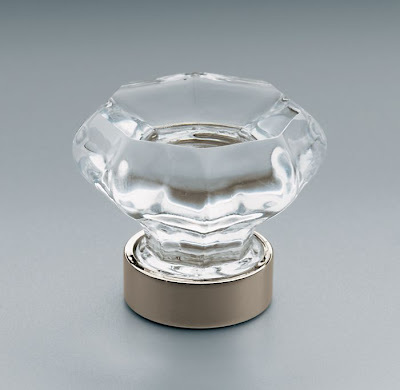 I've been on a quest to find glass knobs for the last couple of weeks and I found this at Restoration Hardware of all places. Check it out. 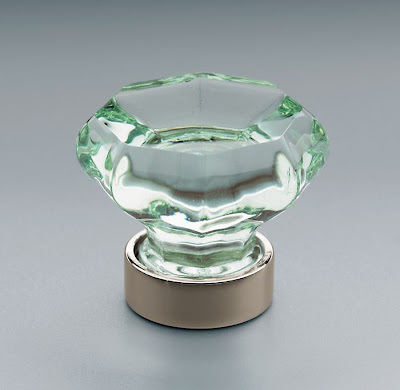 It's my new favorite glass knob in the world and even more shocking is the fact that it retails for a mere $11. It's perfect and that thing allowed me to save the day and look like a hero. Unbelievable. Who's going to save me next? Pottery Barn? Geez I hope not. That's also from Restoration Hardware. I hate being wrong, but I can be a man about it and admit it when I'm confronted with overwhelming evidence. My trip to Restoration Hardware provided me with a hint that I may not know everything after all. Can I order my crow any way I want it or or is it a case where I'll have to eat whatever's placed in front of me? What kind of cabinet or kitchen look would dictate a glass knob? It's a true butler's pantry off of a dining room. The cabinetry is in an inset style and it's been painted an off white. The whole thing has an updated Edwardian/ Brideshead Revisited kind of feel. Oh Ming! How'd I do with my stone postings? 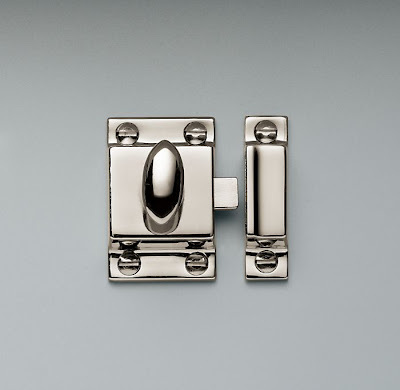 I just installed some from Baldwin and Omnia. They were crystal and the price reflected it. What a great find. I can imagine how much they cost. I'd love to have a limitless budget every time I need to find hardware, but alas... I warn people all the time not to learn about what constitutes good hardware or you'll go broke chasing it. Hah! Sometimes though, reality rears its ugly head and I have to try to pull something off that still looks good on $11. Considering the times, I have have a feeling that this won't be the last time I have to find a cool knob for $11. You know?